These black and white photographs show Vear Porter Wilson (1828-1899), newspaper editor, publisher and politician. Born on April 1,1828, to John Wilson and Elizabeth Porter Wilson in Westmoreland County, Pennsylvania. He later moved with his parents, in 1839, to the state of Ohio. Wilson eventually established a career as a newspaper editor and publisher, in 1858, with "The Iron Valley Times" in Dover, Ohio. In 1870, Wilson organized and lead a group of settlers know as "The Buckeye Colony" from Tuscarawas County, Ohio, to Dickinson County, Kansas. With wife Maria and family, he settled in the town's county seat of Abilene, Kansas. In February of 1870, Wilson established the first paper in the county called "The Abilene Chronicle." He later owned and operated "The Abilene Gazette, Republican," "The North Topeka Times," and "The Kansas Gazette." As he wrote about the concerns and issues of the day, he became actively involved in the community of Abilene. He served as a judge, post master, and as a minister of the Universalist Church. 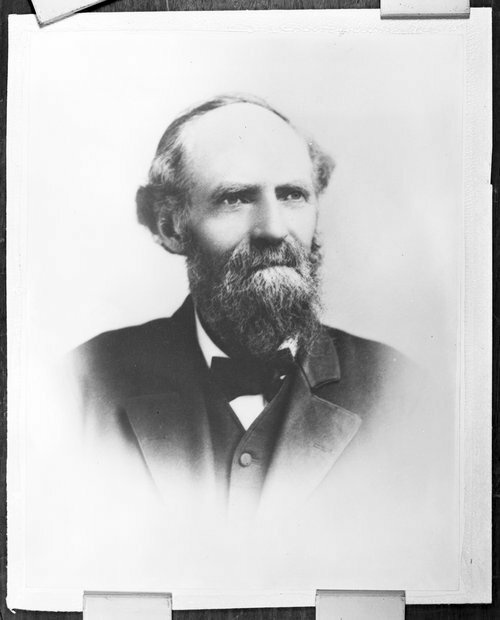 Wilson also received an appointment to serve as a regent to the state university (1881-1884). In 1872, he successfully ran for a seat in the Kansas Senate and was elected as a Republican to represent the Twenty-Seventh District (1873-1874). Wilson didn't seek re-election in 1874, but returned to private life to seek new opportunities. In January of 1875, Wilson and a group of business men organized a town company in Enterprise, Kansas. Within a few years of its existence the town became a progressive community. His success as a civic leader expanded beyond the Kansas prairie when, in 1885, he led a group of pioneers to Atwood, Colorado. In this small northeastern community, he and his sons established a weekly paper called "The Atwood Advocate." Unfortunately, due to the lack of economic success in the town, Wilson's sons Victor and John moved the paper to the nearby town of Sterling, Colorado. Wilson eventually moved to Denver, Colorado where he owned and operated "The Colorado Springs Gazette and "The Denver Press." On February 14, 1899, Wilson unexpectedly passed away at the age of seventy-one at his son Thomas's home in Colorado Springs, Colorado. He was buried at the Abilene Cemetery in Abilene, Kansas.